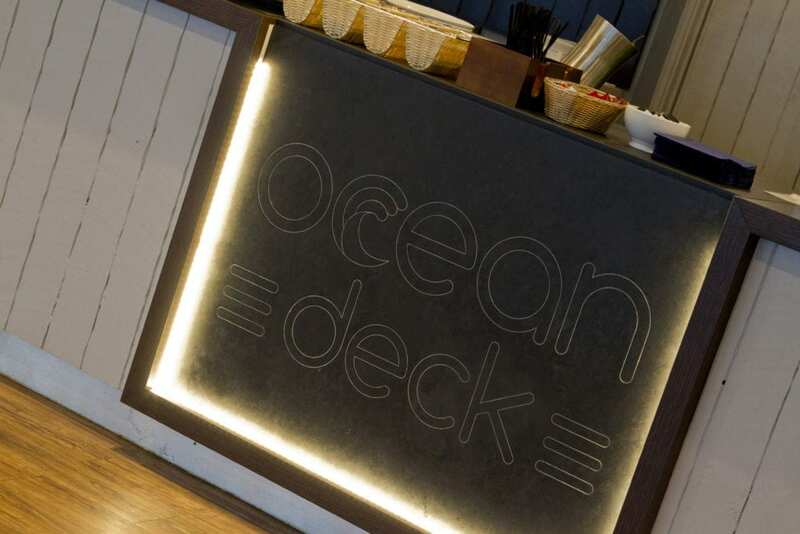 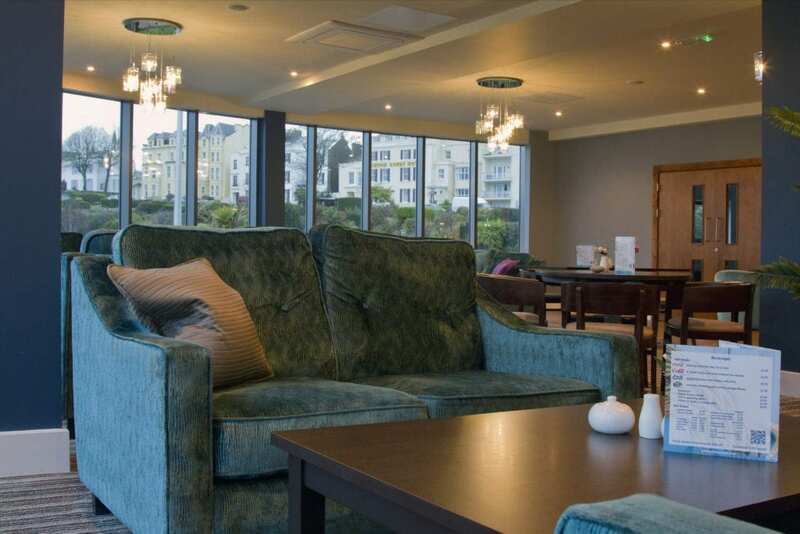 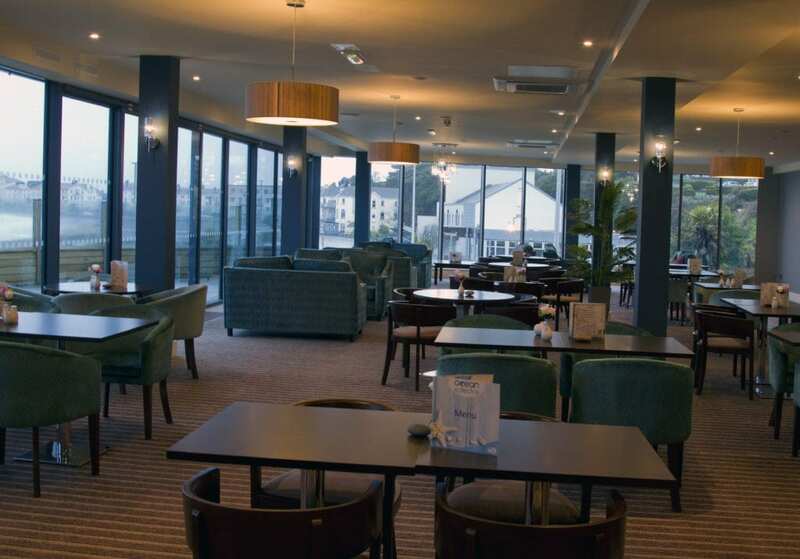 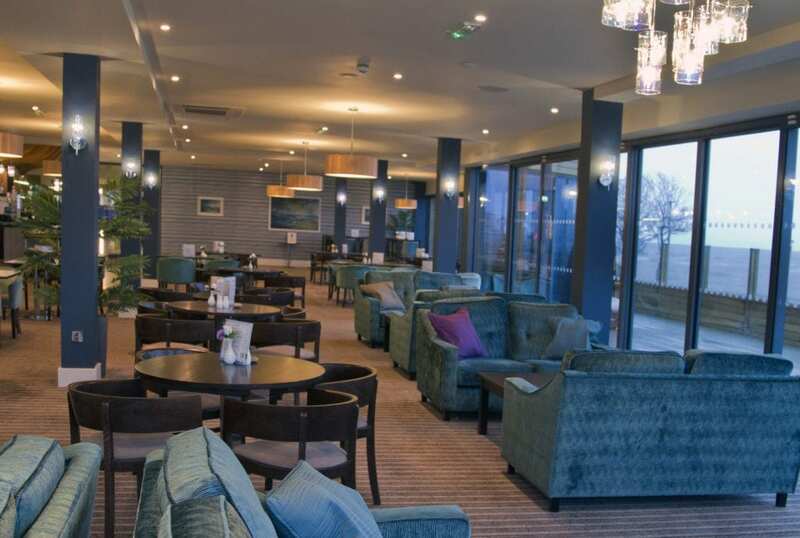 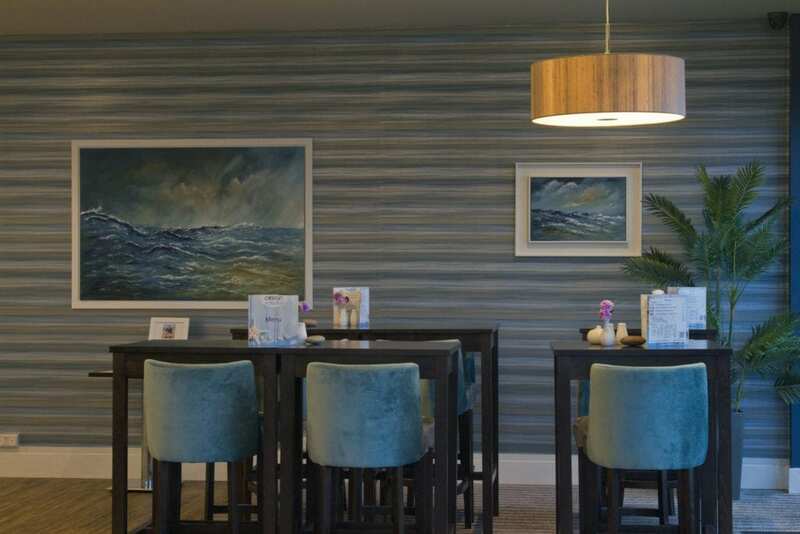 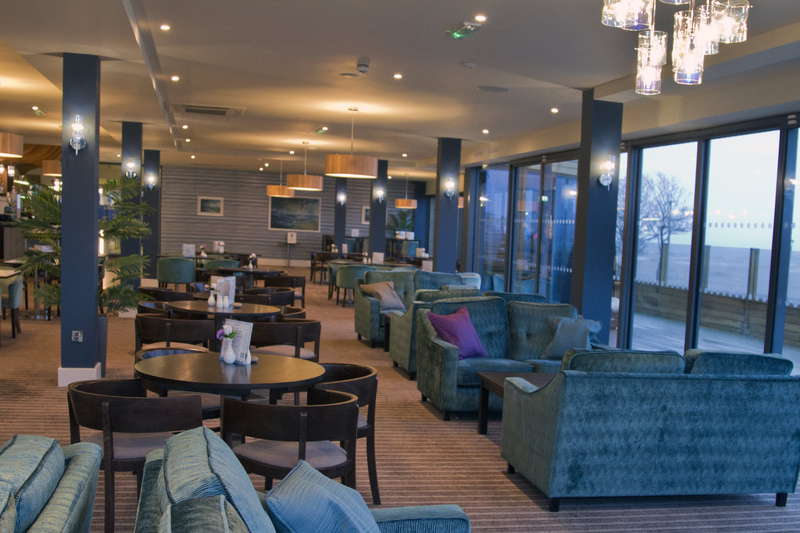 LED Leisure instructed idesign with the task of refurbishing their first floor restaurant, Ocean Deck, into a high end eatery and destination in Exmouth. We took the stunning view as the backdrop to our design by using an aqua colour palette with feature metallic sea-themed wallpaper. 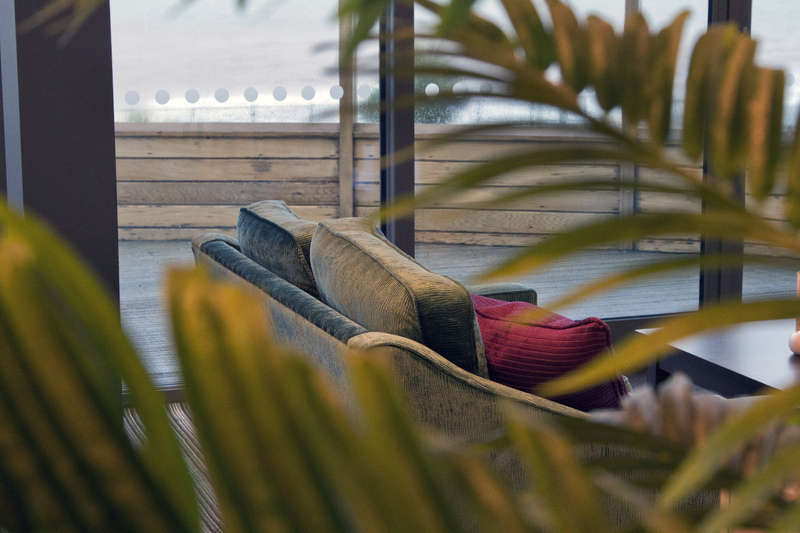 Timber textures and slate materials for the bar and its decoration ensure a beautiful and calm harmony with the surroundings. 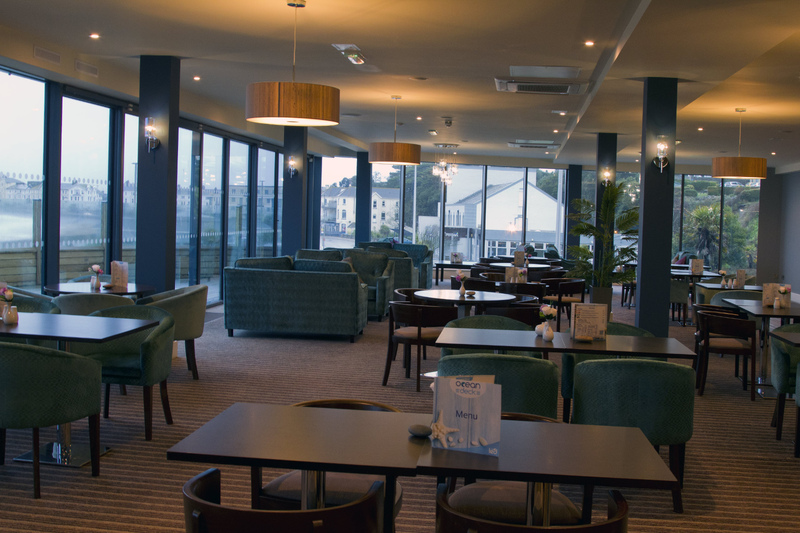 Feature cluster glass lights (provided by Amos lighting) zone the seating areas effectively and create a soft evening ambience to provide guests with the most relaxing of experiences. The design is gorgeous and has helped to ensure the enjoyment of the restaurant’s guests andthe success of our client’s business.